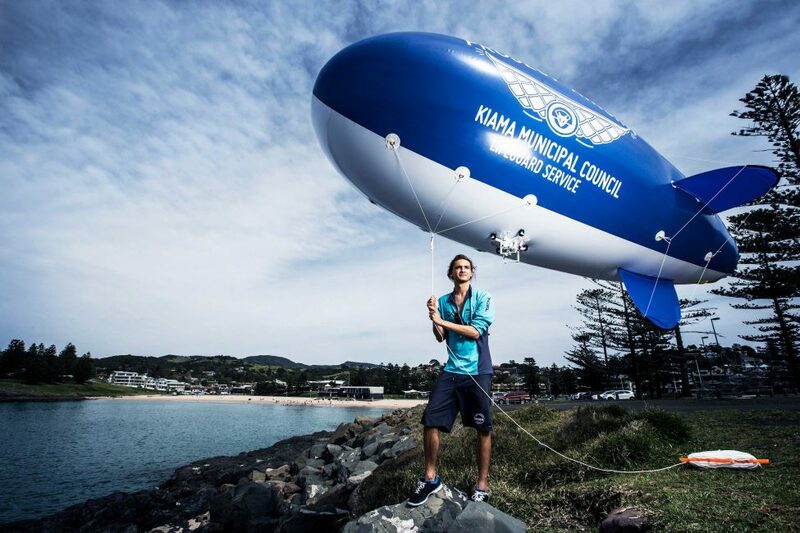 In the small coastal town of Kiama, Australia, Kye Adams and the Project AIRSHIP team are testing a non-invasive alternative to shark nets. Their blimp-mounted camera system aims to provide adequate warning to beach users when sharks or other hazards are present in the water. How would you explain your connection to the ocean and sharks? My father has always loved the ocean, so much so that my name comes from the Hawaiian word for it: Kye, which means salt water. So it was almost inevitable that I would share the same connection. To me, the ocean is the last remaining wilderness. One of my favourite feelings is being out in deep water, where you can’t see the bottom, and being aware of that sense of the unknown. It makes me feel really small – and it’s good to be reminded of that. Sharks add to that feeling; without sharks the ocean becomes just a big swimming pool, it loses its attraction. Wild animals make the world more interesting. It’s great to feel powerless sometimes and to be reminded that we are not in complete control. I think a lot of people are chasing that feeling when they enter the ocean. As soon as you step off the sand, you’re entering a wilderness area, even if that beach is in a city. How did you come up with the blimp concept? As professional lifeguards, we spend a lot of time staring at the sea and although we sit in towers that are elevated, sometimes we feel that they are not elevated enough to get a complete view of the ocean. Surf Beach is a small coastal embayment that, with a headland at each end, feels quite enclosed. This makes it an ideal spot for running the programme because you have both headlands and you can spot any activity between them from the sky. Obviously, people have considered drones as a solution to this, but they have the downside of a short battery life. For the purpose of providing beach and ocean coverage for eight hours, drones aren’t the most effective solution. So the blimp idea came from me watching old documentaries about the First and Second world wars, when blimps were used for surveillance. I thought that perhaps they could work in our situation. The more I researched how they operate and what can be done with them, the more boxes they ticked. I’m also hoping that with the project AIRSHIP blimp we can replicate that feeling of safety that shark nets give the public, but not have the downside of by-catch and unnecessary shark deaths. My end goal is to replace the shark nets with blimps. Your job means that you work with recreational ocean-goers every day. How would you describe the public’s attitude towards sharks? Kiama is a summer destination for both local and international tourists and a lot of them don’t have much understanding of the ocean and sharks. Among the locals and the surfers, though, there is more respect for the ocean, and they understand it better too. They also realise that sharks are a necessary part of the environment. It’s different with tourists. For example, mothers will often come and ask if it is safe for their children to enter the water. Once we’ve explained about the blimp and tell them that we haven’t seen anything that day, then usually they’ll go in, but only into the shallows. So sharks are definitely on their minds. A social scientist has got involved in the project this summer and she will be conducting surveys, so we’ll get a good idea of what people think about sharks and their attitude to the blimp and shark nets and the other strategies that are being used. We’re looking forward to the data that will come from that. Are there any challenges that you have encountered that need to be taken into consideration with the blimp? We struggle if it is raining because all our equipment is not waterproof at this stage. But thankfully all the conditions that prevail when spotting potential is really good coincide with high beach visitation rates. So when the conditions are poor – when it’s windy or cloudy or rainy – no one is at the beach so there aren’t that many water users. 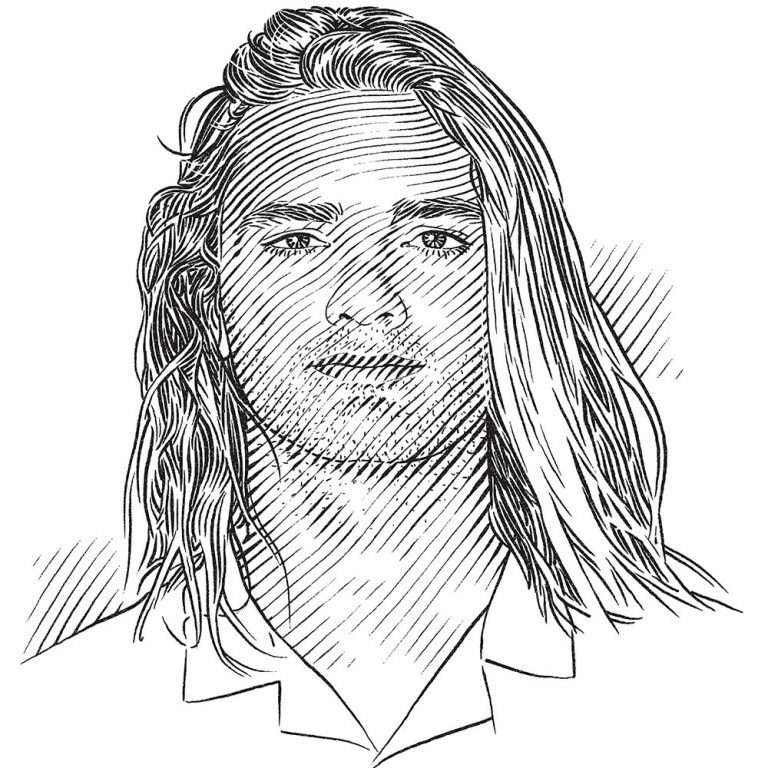 When it’s sunny with calm conditions, that’s when we have our best capacity to spot sharks. Our summer boasts the ideal environmental conditions for the blimp and it coincides with the most people at the beach. Based on historical data that we’ve looked at, we can put the blimp up 70% of the days in summer, so five out of every seven days the conditions are suitable. In the end, the environmental factors don’t pose too much of a challenge. Besides your upcoming field work and the holiday season, is there anything else exciting in store for the programme? The programme is evolving and that in itself is exciting. With the support of the Save Our Seas Foundation and funding from our university, we are developing an automated shark-detecting algorithm. The blimp will eventually be running that, removing the need for human observers to watch the footage. We are also going to train the algorithm to spot rip tides and swimmers in distress. So project AIRSHIP will be an integrated approach to general beach safety. I am currently working on a preliminary paper that describes how effective the blimp can be as a shark management tool. The initial results are very promising and suggest that the blimp outperforms other forms of aerial surveillance. I’m hoping that once the blimp has proven to be effective, it will provide an alternative for politicians when they are called on to remove shark nets; rather than just take out the nets and replace them with nothing, they could theoretically take the nets out and put a blimp above the beach. And people would feel just as safe. I’d love to see a blimp on Bondi Beach in Sydney.